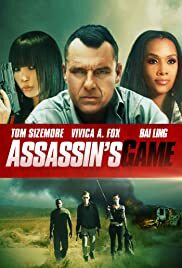 Director: Anoop RangiStars: Tom Sizemore, Vivica A. Fox, Bai LingSummary: Legendary hitman Vet Jones never expected to accept another mission. But when his son fails to assassinate an important target, and a powerful crime boss gives Jones an ultimatum - finish the job or his son dies - Jones has no choice but to accept. After realizing the target is innocent, Jones tries to change his mission in order to protect the target - but can he save her life as well as the life of his son? Written by grindstone Entertainment Group, LLC.